Professional, Caring and Effective, Acu2you offers Traditional Chinese Acupuncture and Medicine and treats a wide range of medical conditions using acupuncture. Practioner David Bailey has a particular interest in spinal and neck conditions and offers spinal manipulation in addition to acupuncture for these conditions. He is also qualified to carry out acupressure massage and offers this routinely during his treatments. Mossley based Body Mind Therapy centre is well-established and provides natural treatments to help optimise health for clients in the Tameside, Oldham, Stalybridge, Saddleworth and surrounding areas. 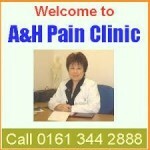 Welcome to the Tameside Acupuncture Clinic.